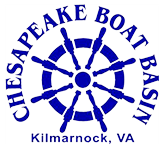 Welcome to Chesapeake Boat Basin’s Service Department! Boat maintenance should be performed regularly to be effective. Just like in your car or truck, there are certain periodic adjustments and service procedures required for continued trouble-free operation. Call us to set a convenient service appointment at (804) 436-1234 ext 2, or click here to fill out our online service request. *Nearly any service you require…we can do, just call or stop by! !